Rajiv Bajaj: "The 100cc bike has no future"
Following the 2012-13 economic slowdown, Bajaj Auto saw its market share fall steeply as demand for its premium bikes, especially the Pulsar, took a hit. The company's strategy came in for criticism but MD Rajiv Bajaj made it clear: its high-margin, premium two-wheeler segment would continue to remain its core focus. Of the 16 models that Bajaj Auto currently produces for the domestic market, only two models  Platina and CT100  are in the budget segment while the rest have engines of 125cc and above. Two of its bikes, Dominar 400 and RS200, are priced above Rs 1 lakh. In an exclusive interview with Moneycontrol's Swaraj Baggonkar, Bajaj talks about how the company's market share made a comeback during the past few years as the premium bike market recovered. And why he believes focusing on the 100cc motorcycle -- currently the bread-and-butter for many of Bajaj's rivals -- does not make long-term sense. MoneyControl: There were plenty of new launches this year from Bajaj. What's next? 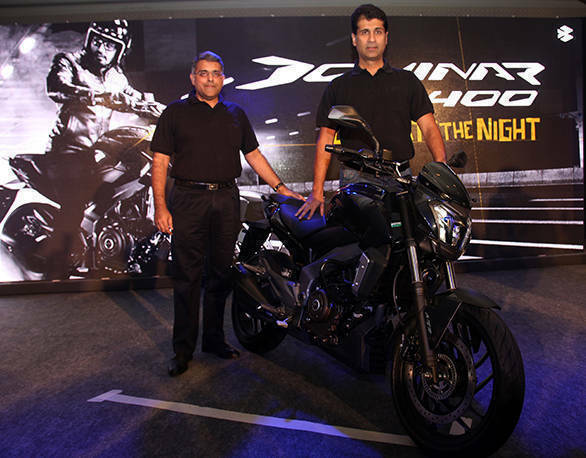 Rajiv Bajaj: In terms of product development one does not talk of months. We talk of at least a two-year time-frame. If I take a two-year perspective I would say we can gain another 5-6 percentage points [of market share]. There are several new launches. Some of them will be in FY18 and some are scheduled after that. But yes the short answer would be that whatever we have achieved in the last two years in terms of incremental share and volume -- we would like to grow them. MC: Has demonitisation impacted the psyche of the two-wheeler buyer? RB: Definitely, there is an impact (of demonetisation) on the industry. By October we were growing 20 percent year-on-year in the domestic market. And suddenly it became minus 5 percent after November 8 -- it is a very dramatic loss of momentum. I had tried to make a point that somebody like Bajaj may feel less affected, down only 5 percent year-on-year. But the reality is this. Obviously, this affects people both materially and also in sentiment. One can see that the rural places are more affected; the cheaper 100cc bikes were more affected than premium motorcycles. In terms of recovery there is no doubt, I have already said that after mid-December or let's say from January things have been improving but definitely our view is that it is still not normalised. MC: Exports have been a cause of concern for Bajaj? RB: Exports had started coming under pressure once oil got into trouble and it has troubled several of our markets in Africa and Columbia. While those places continue to be under pressure we are not in a position to say that suddenly everything looks hunky-dory there. But definitely things have been improving in the last two months. In February our exports were 85,000 last year but this year they are 105,000. On the other hand three-wheelers have yet to recover. Soon we are going to Malaysia and Thailand and definitely Dominar will be one of the brands that we would like to introduce there. MC: How are the new launches doing? RB: As far as I know everything that is going to dealers is sold out. I hope we are going to achieve the target of over 5,000 this month. The other important thing is that the bike has a lot of interest in our export market. From this month or perhaps from next month, depending on production capacity, we will start exports and I am hopeful that we will get a good reception. We had indicated that by September this year we will like to hit 10,000 and we feel we are on track for that. MC: Is the existing production capacity enough? RB: Right now we are fine. Our capacity is around 5 million vehicles; it depends on the product mix. One of the things we have come to a conclusion is that even if we start filling capacity to 100 percent, a lot of it would be cheaper and less profitable 100cc motorcycles. That would be by the Boxer brand - primarily exported. Now, it is very less than earlier because of collapse of Nigeria. Otherwise, Nigeria alone would have been 40,000 Boxers. But even now Boxer is doing 50,000 units a month. And CT100 is another 40,000-50,000 and Platina is 30,000-35,000 a month. We are talking of something like 1.3 lakh a month and 1.5 million a year. As a company we have always said that technology, quality, profitability, for us is far more important than just simple volumes and markets share and scale. So brands like Boxer, CT100, Platina are single digit EBITDA margin products compared to some of our other brands. What we have decided as a company is that even if tomorrow we are making 5 million from the current 4 million vehicles and instead of one and half million vehicles we make maybe 2 million 100cc motorcycles, let's say rural markets come back, Nigeria comes back but we will not then increase capacity beyond 5 million. MC: What is the future of the 100cc segment? RB: I think the 100cc of today is the bicycle of the future. And, it will always be popular, serve the purpose, but they will be so far down at the bottom of the pyramid. A company like ours is not trying to make a little bit of everything and participate in all segments - scooter, motorcycle, cheap, expensive. We want to do one thing and we want to be the best in that. I think we cannot reach to the bottom of the barrel because in terms of technology, quality and margins these motorcycles become very unattractive. The 100cc has been shrinking. It has been more or less 50 percent of the industry or less. So I don't think 100cc has much of a future going forward. Now that does not mean it will be gone in five years. It [also] does not mean we are exiting the segment. All I am saying is that when the time comes I have two options  should I increase capacity from 5 million to 6 million or should I prune the 100cc a bit... And the way to prune it is not to discontinue a model but raising the price a little bit and improve profitability. The [freed] capacity we will put for bigger bikes, three-wheelers or quadricycles. This will make our production mix even richer. A lot of carmakers are already doing this. The rat race of 100cc, living on month-to-month, I don't think that is the way for business in the future. I am forecasting that this is how we will respond to a situation that demands a capacity increase. Rajiv Bajaj: "The 100cc bike has no future" Rajiv Bajaj: "The 100cc bike has no future"